Made with the finest materials and craftsmanship in South Korea, Stylerush uses advanced features to offer you versatile styling. 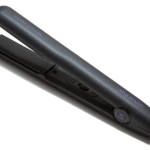 Go straight, curls or waves with the round barrel and flat mineral infused plates. Advanced Ceramic Technology for shiny bouncy and healthy hair. Negative Ions lock in moisture to minimize damage, whilst Far Infra red rays heat from deep within the hair strand. 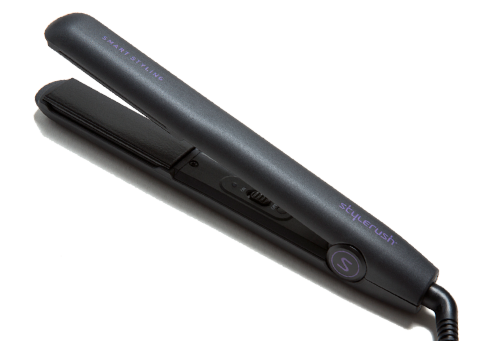 Advanced Heat Retention Technology - Rapid precise heating, with quick recovery for one pass styling from root to tip. Temperature is fixed at 195 Degrees Celsius. Flexible and Durable - Stay tangle free with a 2.7m cord and 360 degree swivel to reduce cable wear. Propitiatory curing and plating results in unparalleled smoothness, while preventing chipping and wear on the plates. Cushion & Tilt Plates - Dynamically moving plates adjust during styling alleviating pressure whilst allowing heat to be applied consistently.